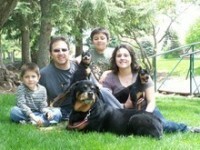 We are very excited to have the opportunity to share our family with each of you. 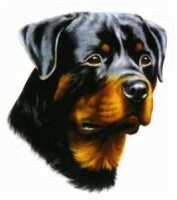 Just over 20 years ago, I purchased my first Rottweiler as a pet. 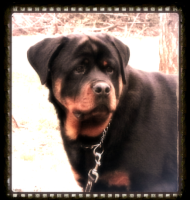 Shortly after I was convinced this was the most magnificent and intelligent breed I had ever encountered. 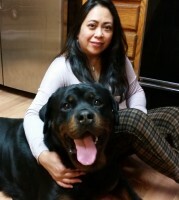 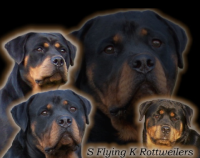 For years I blessed Rottweilers into my life as pets. 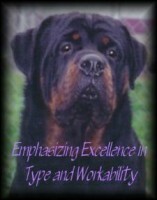 For the past several years I have been putting my 20 years exp. 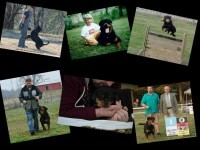 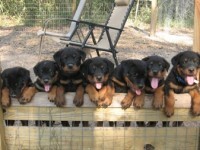 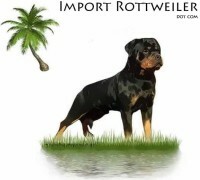 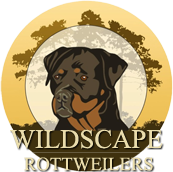 with the breed into producing German Rottweilers with the correct size, look, and temperament.